Thank you for visiting the Man City Training Kit store at Soccer Box. Here you will find the latest collection of official kit. The entire soccer kit range is officially produced by the team’s kit supplier Nike, and is an integral part of the squad training kit. The training kit includes the merchandise that the team wears for soccer training, travelling between matches, interviews and other official team activities. The training kits collection features items such as tracksuits, jackets, t-shirts, jerseys and leisure clothing such as the latest hoodie. The training kits are perfect for wearing on the soccer pitch, but are also great for any fan to wear simply for showing their team support at the football and every day. This is the place to shop for the Man City Training kit while supplies last! The squad will wear the kit during all coaching sessions. Manchester City currently train at the Carrington Centre, this has been their home since 2001. It is a fully equipped soccer training centre containing a fitness gym, medical facilities and hydrotherapy pool as well as pitches and leisure facilities. The lease on the Manchester Carrington coaching Centre is due to expire soon and there are plans to build a brand-new purpose built facility in Sportcity that is nearer to the Etihad Stadium. Nike produces the a full range of training kit both for the team and the backroom staff. As a sportswear manufacturer Nike has produced top quality kit purposely designed for the use of professional football players. If you play football you can wear the kit for any workout on the pitch as well. Nike has used their unique Dri-fit performance fabric to enhance the sports properties of the entire kit range. The Dri-fit fabric manages moisture by wicking away sweat and increasing airflow to naturally cool the body. Wearing the training kit you will feel cool and comfortable. The Man City training kits are not only perfect for soccer but are also great for using in the gym. If you train hard invest in the football training kit today, this kit will be an invaluable addition to your sports bag. The coaching gear is primarily designed in the famous sky blue and white club color scheme. Each of the products features the team crest for club pride and a Nike logo. The Manchester City clothing kit range is perfect for wearing to the match and is a great alternative to the match day football shirt. To go along with the clothing kit range you will find some fantastic products in the accessories and merchandise store at Soccer Box. Get yourself a water bottle, baseball cap and many more team accessories that will also be perfect for soccer workouts, sports or at the match. You may also be interested in the Manchester City baby clothes range, you can kit your infant out in team merchandise and enjoy the football together. Soccer Box only stocks official Nike football kit and merchandise. You are purchasing high quality, official MCFC training kits when you shop at Soccer Box. Order today for fast worldwide delivery. 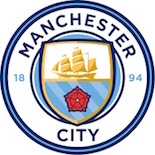 The Manchester City training kit shop at Soccer Box is the place to shop, continue browsing the store for more great merchandise and kit!